"All these appointments were confirmed during the Russia-Japan summit on the occasion of the G20 forum in Buenos Aires," the press service said. According to the press service, Russian Deputy Foreign Minister Igor Morgulov has been, in turn, named the special presidential representative to the negotiations. The ministry also noted that Russian and Japanese top diplomats — Sergey Lavrov and Taro Kono respectively — might have talks during Abe's visit early next year. "If there is such an opportunity, there should be a meeting of the Russian and Japanese foreign ministers," the press service said. Both Morgulov and Mori have already held numerous consultations on bilateral relations. Following the talks at the G20 Summit between Russian President Vladimir Putin and Japanese Prime Minister Shinzo Abe, the Russian leader announced that the peace negotiations would be led by the two leaders' special representatives, while the process would be coordinated by the countries' foreign ministers. 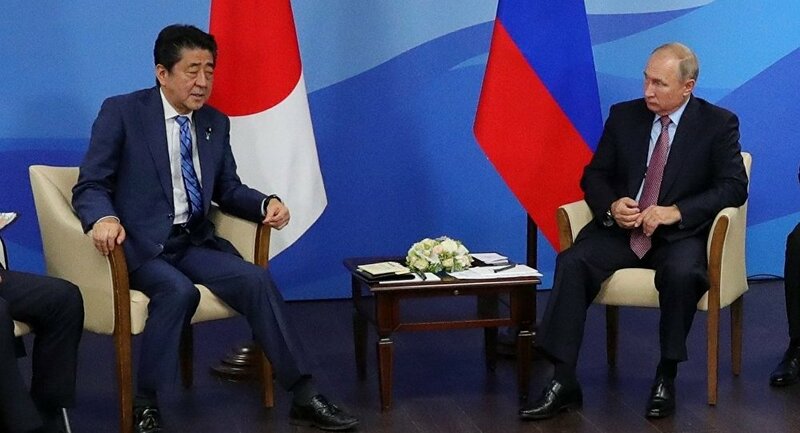 Abe also agreed to pay a visit to Russia in the beginning of 2019. Despite the fact that over 70 years have passed since the end of World War II, Russia and Japan have not signed a permanent peace treaty yet. The Kuril Islands dispute has been one of the main stumbling rock in the negotiations. The islands of Habomai, Shikotan, Iturup and Kunashir have been claimed by both nations, having enormous strategic importance for Moscow and Tokyo. Russia insists that the islands were transferred to the Soviet Union after the end of the war and it have been an integral part of Russia ever since.